Here are many benefits you can accrue when you use Blom Contracting’s environmentally-friendlier renovation services. 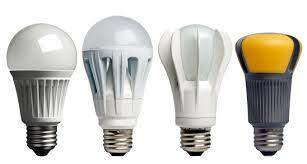 Electric lighting with conventional bulbs burns up to 25% of an average home’s energy budget. Ninety percent of that energy is wasted. Just 10% of the energy consumed by incandescent bulbs becomes light. Light-emitting diode bulbs (LEDs) are extremely energy efficient. They use 80% less energy than traditional bulbs. And they’re rugged and durable, lasting 10 times longer than compact fluorescent bulbs and 25 times longer than typical incandescent bulbs. Windows, doors and skylights protect you from the elements just like a winter coat. We can help you pick the most appropriate windows, doors and skylights for the Canadian climate. Installing ENERGY STAR certified windows, doors and skylights will lower your energy bills, save you money and reduce greenhouse gas emissions from power plants. Thanks to advances in technology, ENERGY STAR products offer greater savings than ever before-from 7-15% annual savings. For the average home, the savings range from $71-801 a year! You’ll also be reducing heat transfer and insulating your home or commercial enterprise more effectively. ENERGY STAR windows, doors and skylights also filter ultraviolet light that causes floors and home and business furnishing to fade. The benefits of attic insulation can be substantial. The attic is usually where you’ll find the biggest opportunity to save energy in your home. Attic insulation maintains the desired temperatures throughout your home. Without attic insulation, you’re just throwing money out the window. Energy efficient homes and commercial enterprises significantly reduce drafts, cold spots and temperature variations from room to room. Proper ventilation and better air quality makes home and business owners breathe easier. That means less stress on respiratory and immune systems, a significant health and lifestyle benefit for those who suffer from asthma. Proper ventilation also results in reducing the necessity of cleaning because ventilation systems pull stale air and dust particles out of the home or business and replace it with fresh, clean air. Programmable thermostats save energy as well as utility bills. They can be scheduled to run on a particular required time that suits your schedule. Many models have the option to set different temperatures at different periods of time, seven days a week. Programmable thermostats can be adjusted to enjoy different temperatures on weekday and weekend and different temperatures in different parts of your home. Why heat parts of your home when no one is in the room? With programmable thermostats, you’ll never enter a frigid home again in winter or a hot home in summer. Some Wi-Fi enabled models can be programmed from a smartphone. Programmable thermostats are also environmentally friendly; they don’t use mercury. And some models will even let you know when it’s time to change your air filters. Tankless water heaters heat water only when you turn on the tap. They usually operate on natural gas or propane. Their main advantage is that they eliminate the extra cost of keeping 40-50 gallons of water hot in a storage tank. That’s an excessive waste of energy and your money. Today’s low flow toilets got a bad rap. They should have been called high performance toilets since they save water and provide ample water for flushing. When you replace a 5-7 gallon water tank with a high performance/low flow toilet, you’re only using 1.6 gallons of water to flush, more than enough water and pressure to get the job done properly. And in case you think that the amount of water you can save with a low-flow toilet is just a drop in a bucket, think again. Low flow toilets can save more than 20,000 gallons of water per year for a four member family. Shower heads are measured by flow—the number of gallons they deliver per minute. Flow is affected by water pressure. The greater the pressure pushing water through pipes and shower heads, the greater the volume of water forced out. When you are not using energy efficient low flow taps and shower heads you’re wasting a great deal of water, one of nature’s most valuable resources. Low flow shower heads can still give you a satisfying shower without letting excessive quantities of water go down the drain. Better Homes and Gardens’ Environmentally Friendly Building and Remodeling MaterialsIs Canada eco-friendly?